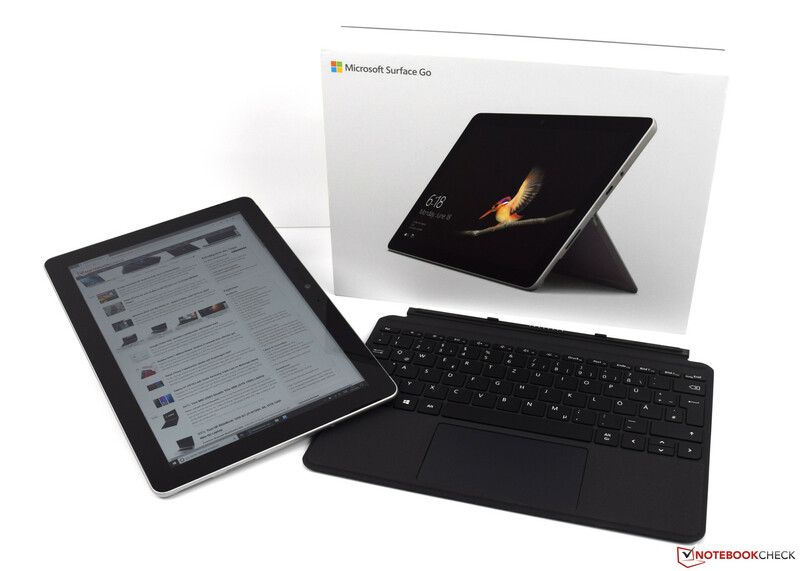 Microsoft has announced that it is taking pre-orders for LTE versions of the Surface Go in selected markets. The LTE Advanced models will ship from November 20 in the US and will start at US $679 (£619) for the 128 GB SSD/8 GB RAM version. Microsoft has been busy bolstering its Surface Go offering. Initially released with two configurations, Notebookcheck confirmed earlier this month that Microsoft was bringing a third version of the Surface Go to market with 4 GB of RAM and 128 GB of internal storage. Now the company has announced that the LTE version is available to pre-order in selected markets too. Officially named the Surface Go with LTE Advanced, Microsoft will initially sell one consumer model and two business models. We have included the differences among the three devices in a table below. The pre-order page is now live on Microsoft UK, which currently estimates that pre-orders will be delivered on November 23. The Canadian and US online stores list the Surface Go with LTE Advanced as out of stock at the of time of writing, but Best Buy states that the device will be released on November 20th in the USA. Microsoft has also confirmed that the device will be available to pre-order in 21 other markets by November 22. Please keep in mind that the LTE versions of the Surface Go do not come with a Type Cover or a Surface Pen. There is no official word yet what carriers will support the Surface Go with LTE Advanced either.